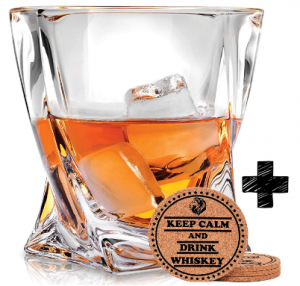 While, I am really more of a scotch drinker, Bourbon is a whiskey I enjoy during the colder months. There is something about the cold, dark evenings that sometimes put me in the mood for the darker, sweeter, heavier bourbon flavor. A couple of years ago, a friend of mine had me do a blind taste test of three different bourbons: Ezra Brooks (Green Label), Jack Daniels, and Evan Williams. I rated the Evan Williams last, and a close draw between the Ezra (green) and Jack Daniels. My friend exclaimed that Ezra Brooks was his favorite. He preferred it over the more expensive Jack Daniels. I had to agree that it tasted good enough that I wouldn’t spend the extra money on Jack either. So, Ezra Bourbon has kind of become my household standard for Bourbon. I’ve always considered the more expensive Bulleit Bourbon to be a very good brand, so I decided to do a little bourbon review and comparison. 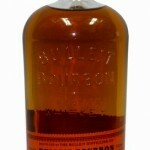 There is some interesting history behind Bulleit that makes it worth mentioning in this bourbon review. Bulleit Bourbon was actually invented by a Frenchman who developed a liking for Bourbon after moving from France to New Orleans, than Kentucky (Bourbon-Land). Being from France, Augustus Bulleit developed a recipe which was a little different than popular bourbons. His recipe contained a higher percentage of rye. This could explain some of what I describe in Bulleit’s taste and characteristics below. The other interesting thing is that the maker of Bulleit bourbon vanished in the 1860s. With no family or close friends nearby to take over the recipe, Bulleit Bourbon was no longer made for well over 100 years. In the late 1980’s, a great, great grand-son of Augustus, Tom Bulleit decided to get his hands on the recipe and re-invent his father’s famous bourbon recipe. I’ll never forget the commercials when Bulleit was introduced back in the U.S about 10 years ago. Thinking it was an odd, unfamiliar name to me, I decided to look up a bit of this fascinating history which made me eager to try it. I liked it, but not being much of a bourbon connoisseur, I decided I would stick with the cheaper, reputable brands for my winter bourbon cravings. About 10 years later, I was sold on Ezra Brooks. Now, 10 years later, I thought it would be fun to try Bulleit again and compare it to my standby favorite house brand, Ezra. I poured the two in a glass, neat; and set them next to each other. Similar in color; the Ezra is a little more brown-colored while Bulleit slightly more amber-gold. The Ezra Brooks is an impressive, clean tasting bourbon. It doesn’t have that cheap, plastic-type taste that I’ve noticed with some of the other bargain-priced bourbon. The taste is dark, rich and syrupy, almost a little like brown sugar and walnuts. The finish is surprisingly smooth for a bourbon that sells for $13-$14.00 in a 1.75 Liter Bottle. There really isn’t anything too complex about it’s flavor. The Bulleit didn’t knock me off my feet when I sipped it for the first time. It was similar to the Ezra Brooks in smoothness and front-flavor. The difference is that the Bulleit became more distinguished as I continued to taste it. It is a little spicier, and begins to round out with tastes of vanilla, caramel, walnut and maybe even a little fruity smokiness. Without a doubt, the Bulleit has a more complex taste and longer finish than the Ezra Brooks. 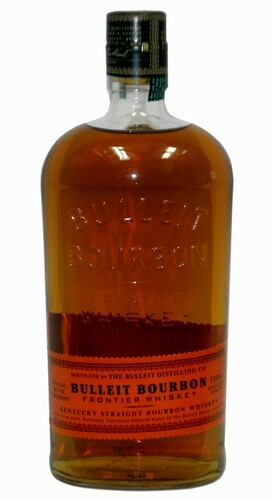 Bulleit is definitely worthy of it’s pricier cost. I rate both Ezra Brooks and Bulleit Bourbon very high, but for different reasons. Because I am not a bourbon drinker, the pricier, but more sophisticated tasting Bulleit doesn’t really intrigue me enough that I would pay more than twice as much for it. On the other hand, if I were a bourbon connoisseur, I can imagine that I might prefer complexities; like the hint of smoke, fruit and longer lasting flavor of Bulleit to the clean, brief finish of Ezra Brooks. If you like to keep Bourbon in your liquor cabinet for a quick warm-up on a cold winter night or for mixing drinks, you’re going to have a hard time finding a better value than Ezra Brooks bourbon for $12.99. I will stick with the Ezra Brooks Bourbon, for now. Leave your own comments on Ezra Brooks Bourbon. How do you rate Ezra Brooks Bourbon?